Wool socks have 2 major things going for them: they’re warm, and they’re comfortable. But there are quite a few vegan alternatives to wool socks that are just as warm or comfortable, and most of them don’t even cost any extra. Most socks are a blend of those, but polyester and bamboo are the 2 “main” materials in most vegan socks. I’ve compiled the most highly rated recommended wool sock alternatives that I could find. They are great for cold winter weather sports and hiking. Some links go to women’s or men’s versions, but they all have multiple models or are unisex. 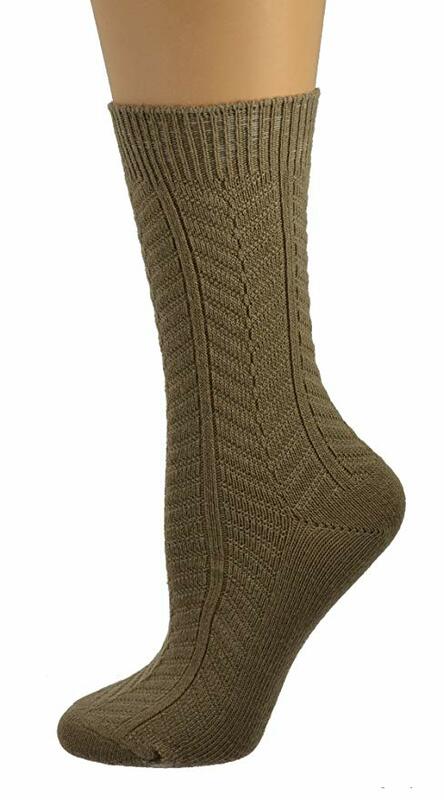 This sock is specifically designed for hikers. It’s made from 34% CoolMax polyester, 37% nylon, 26% acrylic, 2% Lycra spandex. CoolMax materials were originally developed by DuPont in 1986. The modern versions feature moisture-wicking abilities, but are also very warm. Here’s the women’s version of these socks. Something I learned not too long ago is that socks can be made from bamboo. These are eco-friendly socks that take 1/3 of the water to make that cotton socks would need. They’re intended for light hiking weather. 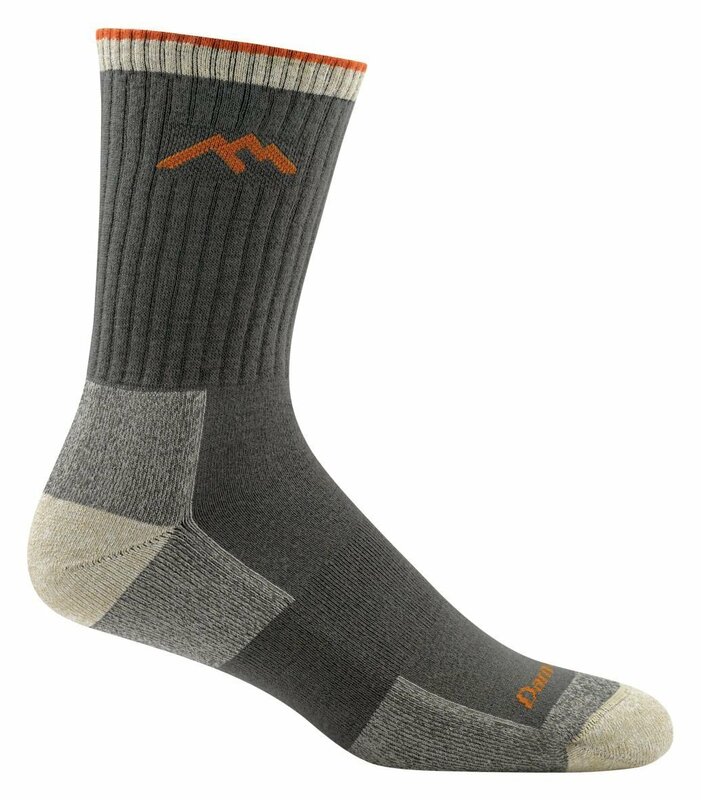 I wouldn’t recommend them for freezing hiking weather, but they’re a good choice if you want a comfortable, warm casual sock. Sierra Socks makes a whole bunch of different women’s socks. They all have amazing reviews. These ones in particular are 88% Rayon from Bamboo, 10% Nylon, and 2% Spandex. They are medium thickness, so while warm, they’re not the best for extreme cold weather. Finally, they are anti-microbial and anti-fungi, and are moisture-wicking, so your feet won’t get sweaty. 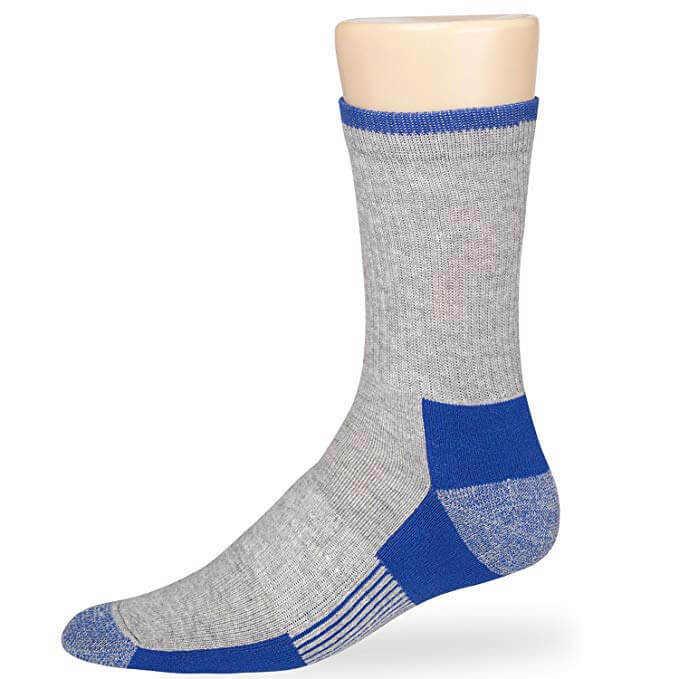 The reason that bamboo is such a good sock material is that it’s naturally antibacterial, making it odor resistant and anti-fungal. Plus it’s still comfortable. These socks are 88.6% Rayon from Bamboo, 10.2% Polyester, and 1.2% Spandex. 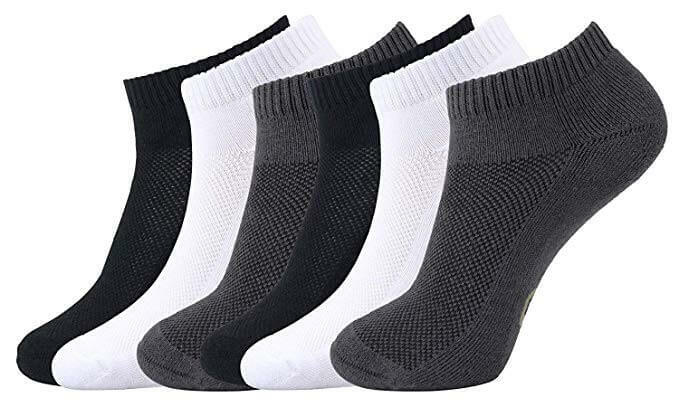 They are very soft, but good casual socks year-round because the moisture wicking keeps your feet cool in the summer, but they’re still warm in the winter. The image and link above is for the women’s version, but Areke also makes the same socks for men. These socks are 85% Cotton, 12% Polyester, 1% Spandex, 1% Nylon, and 1% Rubber. Being mostly cotton makes them super soft and warm. The other materials are included for moisture wicking and odor-resistant properties, which help your feet stay dry even during hiking. 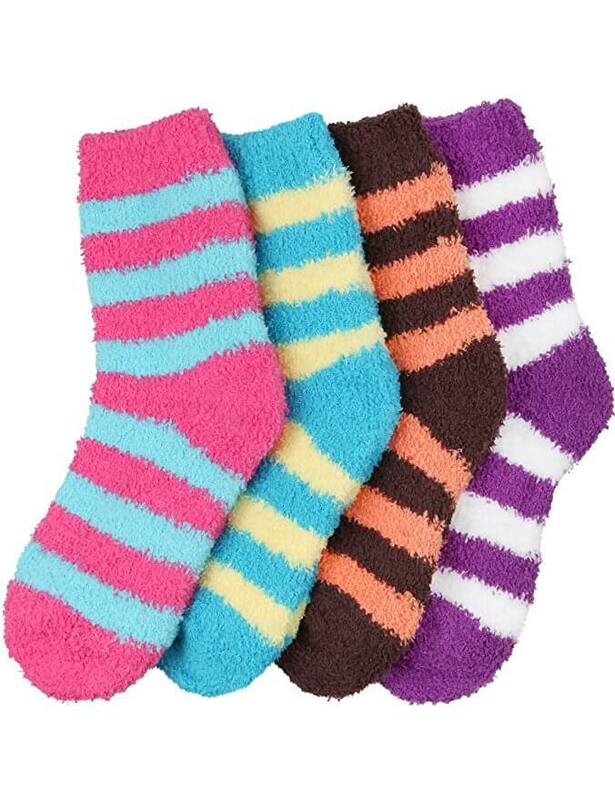 Last but not least are these fuzzy microfiber socks. Pretty warm, and super comfortable. They are very soft, and probably the best vegan alternative to merino wool. These are made from 93% polyester, 5% polyurethane, 2% spandex. Again, more of a casual sock than a hiking in the mountains sock. 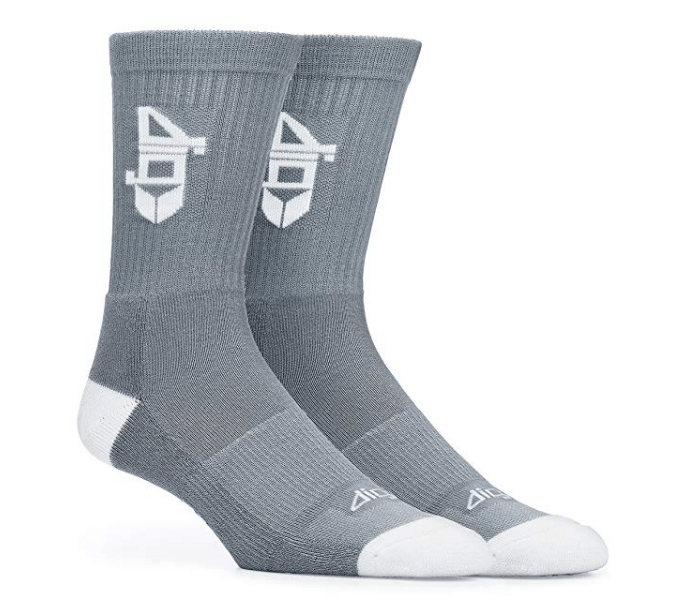 I bought a pair of the Dig bamboo and Sierra socks and love them both!! You wouldn’t think bamboo would be so comfortable, but it is :). I hike frequently and just went vegan a little while ago, so this guide was a lifesaver — thanks! I went with the darntough coolmax socks, and so far they’re great. Hopefully they hold up to the test of time. Glad to hear it! Let me know if you have any other updates or try any other pairs. The ones listed here are vegan as far as I can tell (here they are on Coolmax’s website, no mention of wool on the page). It seems like they’ve copy/pasted parts of their product description on certain pages. So on Amazon is has a bullet point about “made from merino wool”, but it’s clear from the label, materials lists, and comments on the page that no wool is actually used in it. Darn Tough does make actual wool socks as well (not vegan clearly), and I suspect someone made a mistake making the product pages. The Coolmax product line does not use wool (confirmed in Darn Tough’s FAQs here).